← Happy New Year! Happy Feasting! Christmas brings out the generous spirit in people. Partly, gift-giving is a natural way of celebrating, but I also see it as a supernatural response to God’s gifts to us. It seems to me that at this time of year we are particularly aware of all our blessings, and we are reminded of the greatest gift, Jesus Christ, the dawning brightness that the ancient prophets longed and hungered for, as we hear in the book of Isaiah. In the gospel of Matthew we are reminded, by the actions of the wise men, how great this gift truly is. Bearing their gifts to Him, the wise men paid homage to Jesus. They made the sacrifice of a dangerous journey, using their knowledge of the stars to find the way, and they gave Him gifts that were precious and sincere. The wise men’s response is profound and enlightening, and begs a crucial question from us: what is your response to Christ? 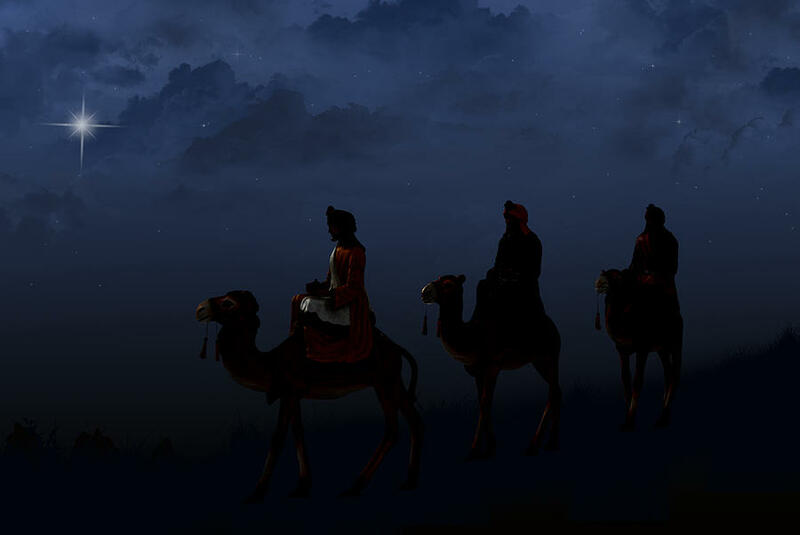 The story of the wise men from the East shows us three very different responses, or attitudes, towards Christ. The one we choose will determine the path our life will follow. The first path is fear. This is King Herod’s response. He fears the loss of the throne to a rival king. He fears what he doesn’t know and what he can’t control. And so he rejects the truth that could have brought him peace, leading down a path of lies and murder. None of us here are murderous tyrants, but we can still be tempted to fear Jesus. He can challenge our selfish ambitions and desires. He can seem to be an obstacle to the life we want, or to our own ideas of comfort and security. Who Jesus is can frighten us to the point that he’s as threatening to us as he was to Herod. The second path is the way of indifference. Look at the experts that Herod sought for advice and direction. They are religious scribes and pharisees, they know the scriptures well and give Herod the correct answer to his question, but it makes no difference to their lives. We hear nothing further about them. They don’t ask the wise men to accompany them in their caravan; they’re not interested in seeing for themselves wether the Messiah has been born nearby. We too can be tempted like this: not really to deny the Lord but, to refuse to do anything much about Him. We subscribe to faith, but not to the demands of discipleship, of living it out in our daily lives. Happily, there is a third way and the wise men show us where it leads. Their attitude is one of readiness; they are ready to be inconvenienced, ready to meet the Lord where He is and not where they want Him to be. This can be a model for us. The truth is, we need the feast of the Epiphany to complete Christmas. It should inspire us to leave our comfort zone and get moving on the road that takes us to the life Christ came to bring, a life of sharing our most sincere gifts of service and charity towards others, and of receiving Him intensely into our own lives and hearts. Only those who give truly receive; only those who surrender become free; and only those who make a difficult journey truly see the Lord and experience the radiant joy of His presence in their lives. All this, and more, waits for us if we can rediscover the awe and wonder of those wise men from the East. *Main ideas for reflection taken from Monsignor Smith’s blog post, “Wise Stewards”.